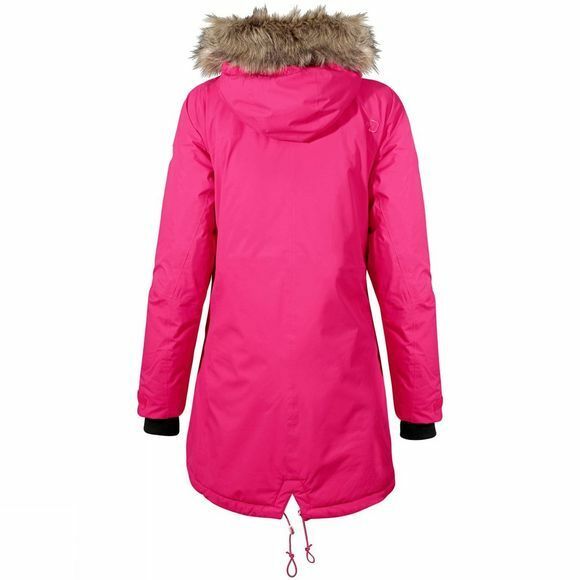 A parka with a clean design in a soft and flexible lightweight fabric. 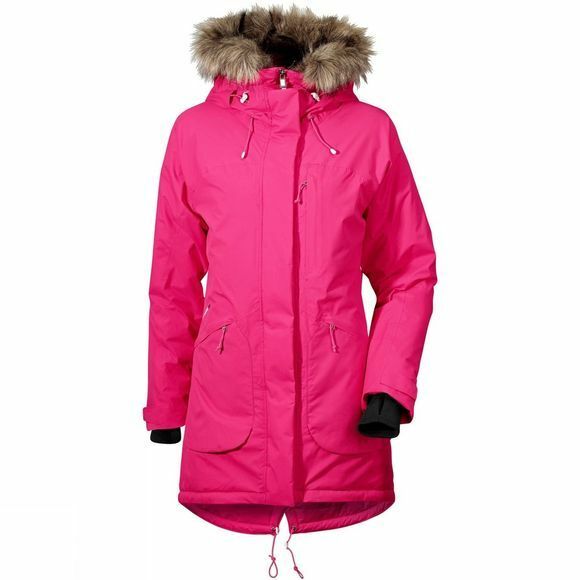 It has two large front pockets with zips and one breast pocket. It has a practical inside Napoleon pocket for storage and a flexible two-way front zip for good ventilation with a protective storm flap. Nancy has soft faux fur trim on the hood and a high collar to protect against the wind. The hood is fixed, but can be adjusted at both sides. Nancy can be adjusted at the hem, waist and cuffs. PFC-free water-repellent finish.